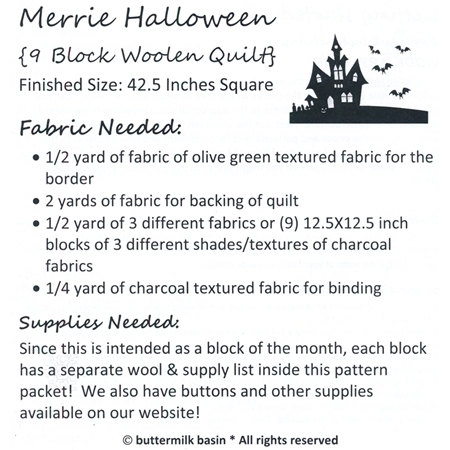 Get your home ready for Halloween with this adorably spooky Merrie Halloween Quilt designed by Buttermilk Basin! 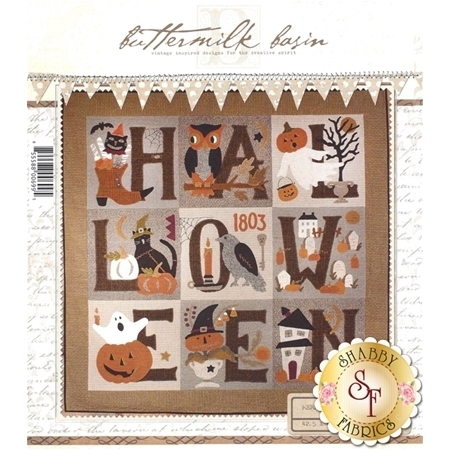 This quilt features pumpkins, crows, owls & ghosts! Finishes to 42" x 42".